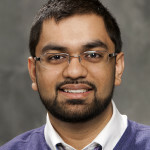 Muneeb is an inaugural Inclusion and Philanthropy Fellow in AFP’s Inclusive Giving Program. He is interested in philanthropy, international development, inclusion and diversity. Having growing-up in 14 cities and five countries, Muneeb now considers the Greater Toronto Area his home. According to Canada’s 2011 National Household Survey, there are well over one million Canadian Muslims, representing about 3.2% of the population, making Islam the second largest religion after Christianity and the fastest growing religion in Canada. The three Abrahamic faiths (namely Judaism, Christianity and Islam) all promote “acts of charity”, commonly referred to as philanthropy, in their practices. The intent of this piece is to provide a quick overview of the traditional ideals and practices of philanthropy in Islam. One of the major themes in Qur’an (the Holy Scripture for Muslims) and Sunnah (the teachings Muhammad, the founder of Islam) is compassion towards the vulnerable and social justice for individuals who are disadvantaged in society. For example, the Qur’an teaches Muslims that, “[they] will not attain righteousness till [they] spend in charity of the things [they] love.” (Chapter 3, verse 82) These teachings encourage Muslims to practice charitable giving, often from a very young age, and instills in them the belief that they will be rewarded with much greater amounts in the afterlife. As such, philanthropy is one of the central tenants in Islam that inspires Muslims to bond with each other and with their larger community as a form of worship and for the greater benefit of all. The overarching themes for “acts of charity” in Islam are rooted in two basic principles: developing compassion for others and demonstrating kindness towards each other. Islam defines charitable giving in two categories: prescribed and voluntary. Prescribed charitable giving can be further broken down into ‘Zakat’ and ‘Fitrana;’ and, voluntary charitable giving can be further broken down into ‘Sadaqah’ and ‘Waqf’. Zakat, also known as Zakat-ul-mal, literally means “to be clear, to grow, to increase.” Zakat is a pre-determined share of wealth, prescribed to Muslims who have resources remaining after meeting the basic needs of their families, to be distributed among the deserving categories of those entitled to receive it. Muslims who maintain the designated minimal amount of wealth for the full cycle of a lunar year must, as a matter of worship, satisfy the duty of giving zakat. The payable amount is determined based upon the amount of cash and the type of assets an individual has. The Qur’an does not specify a prescribed percentage, but the customary practice is to pay 2.5% on capital assets and 20% on other assets such as agricultural goods, precious metals, minerals, and livestock. All possessions can be classified into either zakatable or non-zakatable wealth. The distribution and selection guidelines for beneficiaries are the same for zakat and fitrana funds. The Islamic practice of zakat was first initiated by Prophet Muhammad and is the first known system of community-wide welfare that is structured as a social support network for those in need. The act of giving zakat is also one of the five fundamental requirements of practising the faith for Muslims. Because it is less voluntary and more of a prescribed religious observance, zakat is an extremely meaningful institution with a clearly defined religious-social-economic mandate. 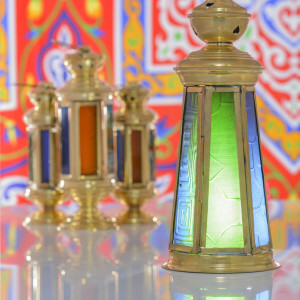 Fitrana, also known as Zakat-ul-fitr or Fitrah, is paid before the end of the month of Ramadan. The primary goal of Fitrana is to provide those in need with the ability to celebrate Eid-ul-Fitr, the festival of breaking the fast, along with the rest of the Muslims. Every mature and financially able Muslim is required to pay the Fitrana for themselves and on behalf of their dependents. In the context of Fitrana, dependent refers to anyone who is in a person’s care. This could mean their children, parents, siblings, or any individual for whom one is responsible. The prescribed amount payable for Fitrana is the same for all Muslims, regardless of their income bracket or wealth. However, if an individual is unable to meet their own expenses, as well as those of their family for a period of one lunar year (and has no one who can meet these expenses for them), they are exempt from Fitrana. Based on the prescribed calculations, the 2015 Fitrana was $10 for each Canadian Muslim. Given that there are over one million Canadian Muslims, Fitrana has the potential to generate $10 million in charitable giving during the month of Ramadan. Sadaqah can be described as any act of giving and kindness, in addition to the prescribed zakat and fitrana, which an individual chooses to do to help another. In Arabic, the word ‘Sadaqah’ means “voluntary charity” and is synonymous with the Hebrew word ‘Tzedakah’. Sadaqah often goes beyond financial contributions to include any act of giving out of compassion or generosity that is done to benefit others. Muhammad was quoted to have said, “smiling in your brother’s face is an act of charity. So is enjoining good and forbidding evil, giving directions to the lost traveler, aiding the blind and removing obstacles from the path.” The beneficiaries of sadaqah do not need to be Muslims. Waqf is a transfer of property, such as a building, land, or cash, by Muslims for religious or charitable purposes, with no intention of reclaiming the assets. Similar to bequests or estate gifts, the purpose of Waqf is to provide everlasting benefit to the beneficiaries, and the donated assets may be held by a charitable trust. The process of establishing a Waqf is very clearly defined by Islamic law (also known as Shariah Law, which developed in the medieval Islamic world from the 7th to 9th centuries), and it has many similarities with the English trust law. Every waqf contract is required to have a founder, a trustee, a judge and beneficiaries. The founder is required to be an adult, be sound of mind, have the ability to handle financial affairs, and not be under any prohibitions for bankruptcy. In order for the property to be valid, the founder must have control/ownership over it, should be considered legal in Islam, and cannot be previously pledged to someone else. The founder can identify individuals, such as the overall community or those in financial need, or charitable causes, such as mosques or schools as beneficiaries of a waqf. A waqf can have multiple benefices. A judge is responsible for adjudicating the process to ensure it meets the legal requirements in Islamic Law. Under both a waqf and a trust, the endowment or property is reserved only for the use and benefit of the purpose (be it general or specific) identified in the contract. Islam, through the Qur’an and Sunnah, places great emphasis on Muslims to practice charitable giving, express their concern for the well-being of others, and enable communal harmony between the wealthy and the poor. Recognizing this can provide fundraising professionals (and the charitable-sector) with the underpinnings to understand the philanthropic inspirations and values of Canadian Muslims.